Is Britain the perfect vacation destination for you and your family? British readers right now probably think that sounds ridiculous. It rains most of the year, and those showers will chill you to the bone. But don’t be so quick to dismiss this idea. Lately, Britain has become a popular place to buy a holiday home. Particularly, by people who spend most of the year living in a country like Dubai. In the summer, it’s so hot there that it feels like agony to go outdoors. Having a British home gives them a lovely chance for a cool getaway. As well as this, it’s true to say that a lot of celebrities are investing their wealth in a home on the British Isles. Usually, they buy near London. That’s due to the class and culture this city brings. Like New York and Paris, it will always be a popular residential area with the rich and famous. Have we convinced you Britain might be the perfect place to buy your new holiday home? Then you need to start thinking about what to do to make this dream come true. Your first step is deciding where in Britain you would want to live. 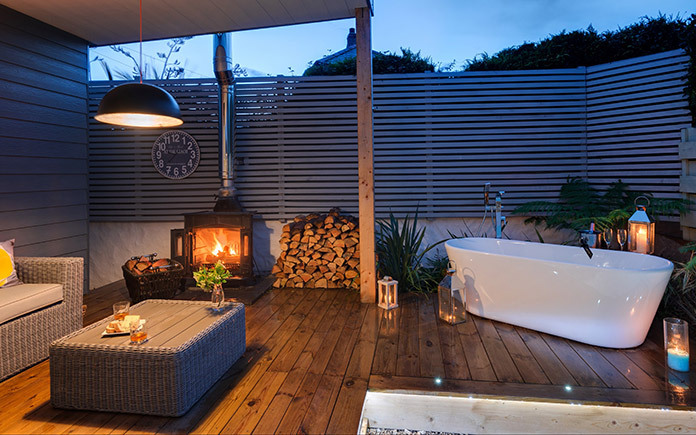 You might want to have a look at some gorgeous summer houses in the south east of England. Around Cornwall, you’ll be close to the ocean, and you will get some beautiful summer weather. It’s actually the surfing capital of the country. Or like so many celebrities, you might choose to head to Buckinghamshire, the region of wealth and fame. You’ll find many of your next door neighbours are household names. But you will need a lot of money saved to be able to afford a house there. Linden Homes have got some great houses for sale all over the Uk. You might want to start your search with their site. Of course, you may choose to head to Scotland and buy a home there. The highland moors do add a sense of romance and mystery to any holiday. You might fall in love with that fairytale setting. The prices of houses are a lot more competitive than London. If you are buying a home in another country, you will need to use an estate agent. Unless you already have connections over there, you might find it difficult to find your home without the help of an expert. They’ll be able to recommend some of the homes on sale and also set up viewings for you and your family. You may have to take a couple of trips over before you find your perfect holiday home. We would not recommend that you buy blindly. Perhaps you can holiday a few times over there before you buy. Once you find your holiday home, you need to think about how to pay for it. You should save up enough money for a five percent deposit. Then, you can get a mortgage to pay off the rest. To help shift the weight of this mortgage we recommend renting out the home to other vacationers when you’re not using it. Finally, we hope you love your new vacation spot in Britain.